Have the people with texture problems tried other versions of the mod? Or tried to deduce a a problematic clashing mod? Yea, iv'e tried v0.60, v0.50 and v0.40.13 with same texture issue on all. If i find the time i'll do the same on a clean install. 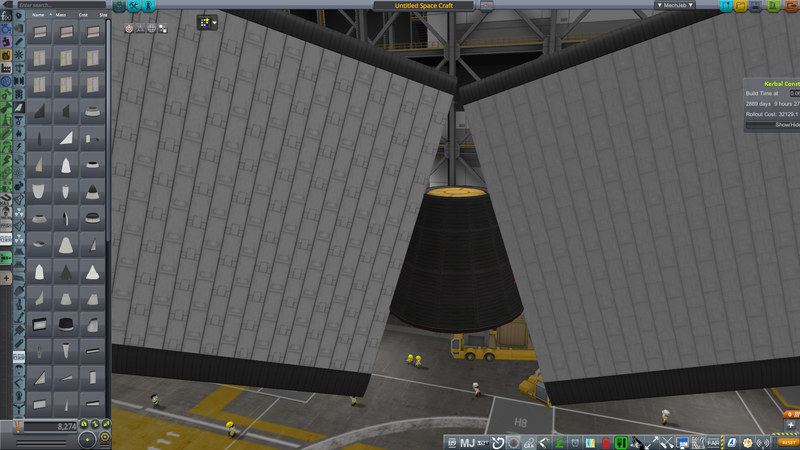 Im on KSP v1.4.5 btw. Do you not have texture problems on using the latest version in 1.4.5? No, sorry, didn't mean to get your hopes up! I have the same issues on 1.3.1 and wondered if others had tried what I'd tried (playing around with different versions etc.) and got different results. I don't know what to do! I would be very surprised if it was a mod conflict. Hopefully someone will get a chance to take a look at it some point. Its not so bad, I"m still using them. firstly thank you for this mod its a game changer for a sci fi builder like me , for thoose having problems with black wings ? ive been doing some testing and figured out a few things. ksp v 1.4.5 - single mod testing. Sorry but can you elaborate? I have no idea what you're trying to say? Are you saying try it without dx11 or force opengl? What blue icon? in forced dx11 mode you will get blue-ghosted icons (google this) there is a temp fix which brings back part icon textures but ruins the colour options on PW = black wings. in forceopenglcore mode everything is fine but the colours on PW wont work = black wings. hope this cleared it up for you and the people having problems with black wings and colours not working . Are there any other dependencies than B9PartSwitch? Does anyone know of this issue and/or knows the solution? Looks like it’s time for an update. I will read through all the posts in this thread collate feature requests and provide an indication of how long it will take to make the updates. In the interim I will get a base 1.5 version ready for any users who want to play with a newly compiled version with no updates. Its good to see this being still developed. @reedhashlock the older FAR is not updated but someone released recently some sort of "FAR continued". Check it out! Yeah, I saw this one. I am still having problems with that version of far and posted it in that mod page. I'm still getting problems in a clean copy of the game. I might have messed something up during installation of the mod though. Read the github files again, very carefully this time. Turns out I also needed MFI. How goes it, gents? Just a bump and wishing Jebman luck on the update to 1.5. Love this mod, can't live without it. Sup guys, so doing much better now! Pretty busy with work so if I don’t find time you may have to wait til December 7th as i’m on annual leave for the rest of the year and should easily be able to do this! By the way, I'm unaware if you're taking requests/suggestions for new parts, but a rounded wingtip much like the one that exists in the original Procedural wings (Maybe with less squishing when trying to make a shorter one) would most likely go a long way. Hey, great work so far on updating this stuff! I really am thankful that you're taking the time to do this, I don't know what I would do without B9-PWings! At least 90% of the stuff I build uses B9-PWings and about 20% of the stuff I build is almost entirely made of B9-PWings. By the way, if its not too much to ask, is it possible to make the limits for the PWings a config file? I don't know how the stuff is coded since I haven't taken a peek at it, but would it be at all possible to have a configuration file which says maximum width, maximum length, maximum thickness, and maximum offset? Some of the things I want to build would require PWings that are either too big or too slanted for the current configuration, and I just thought that maybe it'd be possible to just add a file I/O system for a .cfg file, performing a string search or just a line by line search to take in values for these. I know the graphical part would be kind of weird to do, depending on how it is programmed and I know you have a lot of things on your plate anyways so I don't mind if you don't take this request. Keep up the good work, I'm really appreciating it! Hey @Jebman82 we just released RP-0 (now called RP-1) and we are trying to tie up the install through CKAN. 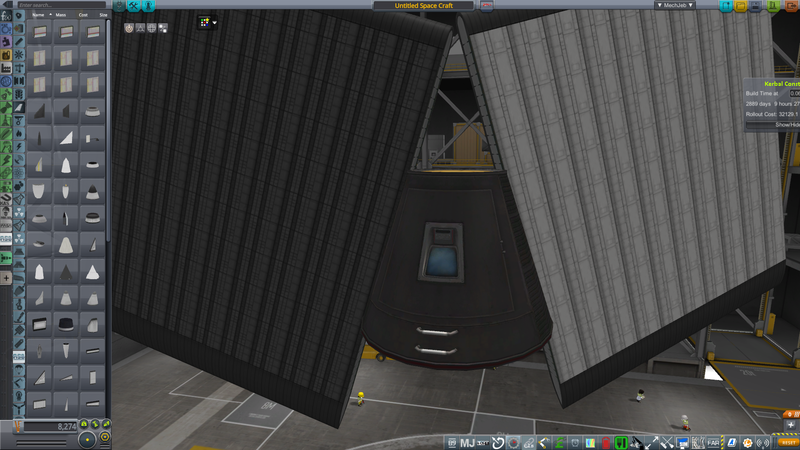 We had referenced a B9 Procedural Wings Modified that is currently on CKAN, but it is broken. Would you be alright if I added your mod to CKAN and included the 1.3.1 version? So starting leave on Monday didn't go to plan. Thankfully I got all the work done yesterday. I'm an OG KSP player so I love the less soupy atmosphere that FAR helps with. I can see that it still hasn't been updated since 1.3. For my last build I recompiled a version for 1.4 and it seemed to work ok for me. I'm not sure whether I am allowed to include an updated version of this .dll in my fork. So I might go ask in that thread and check the license it has. That is not to say that I am going to begin supporting FAR, I just enjoy the modifications it made to the flight models. Personally I lack the time and experience with that type of mod to be able to offer any meaningful help other than a recompile (gives you an idea of how awesome devs like B9 and Ferram are). Both add-ons are highly complex and I try to only touch what I know I won't break. RP - @pap1723 I am keen to get this done. Just for the record, if anyone needs to use this mod in anyway (1.3 version for example), please do go right ahead! You have my full permission and overwhelming support. I know you RP guys like this for your space planes. I can see this is around the corner, if there are no major defects with a straight recompile of 1.5 then I will probably get that released as well. No doubt they wanna release 1.6 inline with xmas.